As I have mentioned in previous posts, this year's meetup and conference will be more informal, since some of our scientists are involved in research, designing research, and/or the pursuit of research funding. We have received so much information from our experts for so many years, and many presentations have been shown at previous MEBO Annual Meetups and Conferences, that we really should re-visit them and discuss them to better understand them and incorporate them in our lives. The main focus for this year's meetup is to re-open and discuss much of the information presented in previous conferences, with a great deal of emphasis on our whole international community's participation. Group participation is strongly encouraged. Unfortunately, since our community is spread out around the world, not everyone can attend the meetup and conference, so therefore, I really hope that each of you send me information that has been most helpful to you, whether it is a professional paper, handouts from our experts, excerpts from an interview of an expert or a webinar, an article, powerpoint presentation, the MEBO Raising Awareness Campaign, or a post in the MEBO Blog, etc. I will try to incorporate the information you provide in our group discussions. Trends in TMAU Test Results and other TMAU topics. 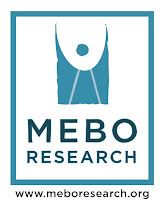 MEBO TMAU Test Kits will be available for special meetup rate of $100 plus return shipping cost where applicable. After the meetup, I will be posting about it in this blog so that those who could not attend can get some information about what was said, and the more people that participate in sending me information, the more we will all benefit in the long run. If you have something that has been particularly helpful to you in your efforts to understand your condition and how to best control it, please share it with me in an email at maria.delatorre@meboresearch.org, or give us the link in a Comment on this post. Be a participant of the MEBO Annual Meetup/Conference in Orlando 2015, NO MATTER WHAT PART OF THE WORLD YOU LIVE IN! We are one community, and unfortunately, there is no way we can hold a meetup that every sufferer around the world could attend. Geographic locations and language barriers are a significant obstacle that prevents us all from uniting physically, but thankfully, we can do so online through the MEBO sites. The conference sounds like it's going to be very informative! Is there any way that the conference can be streamed live on U-Stream or something for those unable to attend in person?